When I think about society and those who live in it, I see youth, adults and seniors. Youth are noted for having vim and vigor, adults have know-how and strength, and seniors have understanding and wisdom. With these attributes and in their own way, they are distinctively influencing their families, the people in their immediate surroundings, their environment, the culture, the communities where they live, and the world. But the question is, how do we maximize these individual gifts and abilities? During most of the time of Uzziah’s 52 years as king, he did what was right in the eyes of the Lord. However, towards the end of his reign, he began doing things that resulted in him contracting leprosy and being banished from his own kingdom. It was at his death that Isaiah saw the Lord and unconditionally responded to the call in his life to be a prophet. In chapter 6, we see Isaiah maximizing his gifts. When chapter 40 was written, Isaiah had shifted his focus from God’s condemnation of His disobedient and idolatrizing people (Judah and Israel) to encouraging them in anticipation of God’s grace, comfort, peace, and the Messiah’s arrival. He speaks of God’s power and His might and how we are to maximize our gifts and abilities. Throughout the chapter, he writes about the omnipresence of God and His sovereignty over everything. What drew my attention is Isaiah’s comparison of Israel and Judah to grass and flowers. He then includes all flesh in that comparison. The grass, he says, withers and flowers fade. But this is a chapter about grace, so he concludes the comparison by stating that “the word of God stands forever” (v. 6-8). Despite all of this, verse 27 reveals the thoughts of the people. They think that the Lord does not know their troubles or care if they suffer injustice. They had experienced trouble and injustice even though they had been blessed with vim and vigor in their youth, know-how and strength as adults, and understanding and wisdom in their senior years. But this is good news chapter! Our text states that “the everlasting God, the Lord, the Creator of the ends of the earth, neither faints nor is weary. His understanding is unsearchable.” He knows who we are and there is a supernatural blessing in store for those who wait on the Lord. To wait is to live life with the confident expectation that the Lord knows, understands, sees, is with us, and sincerely wants to restore us into a relationship with Him. It may not come when you want it, but it will be there right on time! No matter the age, physical or mental attributes, those who wait on the Lord will “renew their strength; they shall mount up with wings like eagles, they shall run and not be weary, they shall walk and not faint.” And the beauty of it is that it won’t matter if you fly, run or walk, your gifts and abilities will be maximized. In case you missed it, once you’re in relationship with the Lord, you will soar with the eagles. Rev. 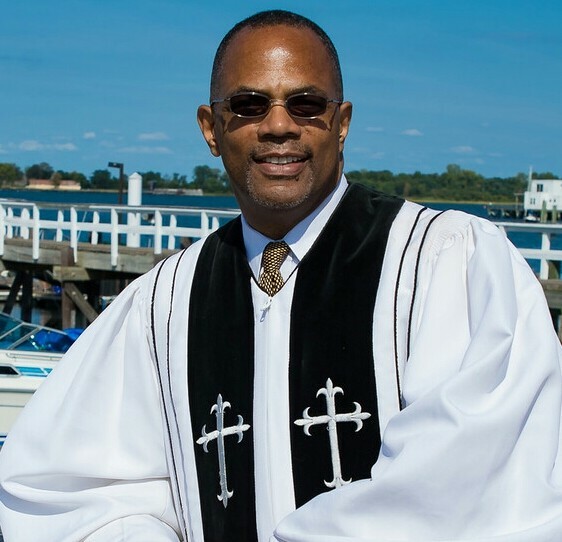 J. Loren Russell is an associate minister at both Goodwill and The Greater Universal Baptist Churches in the Bronx, President/CEO of The JLR Company for Church Financial & Strategic Consulting, and hosts “Matters of Faith – The Radio Show” on Soul 1 Radio, Mondays 8:00 – 10:00 PM. Listen here or by phone at 626-226-1448. Be sure to friend “Matters of Faith” on Facebook and email us at mattersoffaith.mof@gmail.com. You can also use the email to order his new book, Matters of Faith: The Book. Matters of Faith: Faint Not Matter of Faith: Even if You Can’t See the Results Matters of Faith: The Plan of Faith Matters of Faith: Stand Firm in Your Faith!